More and more students taking Japanese and English lessons at NIC have been asking us to consider doing translation work. It has been with considerable regret that we have always had to decline such work, in spite of the trust placed in us by our students. Accordingly, we have decided to take on some translators with decades of experience in the business and launch a new Translation Service Division. The translation business will be handled by highly experienced professionals, just like our Japanese and English teachers. We will handle all kinds of English-Japanese and Japanese-English translation work, but with a special focus on patents, technology, legal work and pharmaceuticals. Aside from English, we can offer translation into Japanese in technical fields from Russian, French and Italian. Pricing starts at 22 yen/word and may vary according to the degree of expertise required. Please feel free to make inquiries. We can give you a precise quote if you provide a sample of the document at this time. 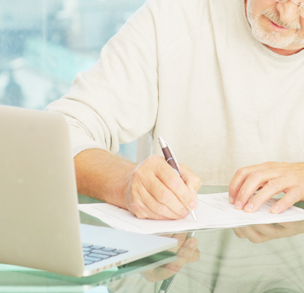 We can give you a precise estimate if you provide a sample of the document. We will estimate the cost based on our pricing and send you a quote by email. If the price is satisfactory, we will then take payment. Your document will be translated and the translation will be delivered to you. Please inquire about delivery methods and formats. French → Japanese, Italian → Japanese.